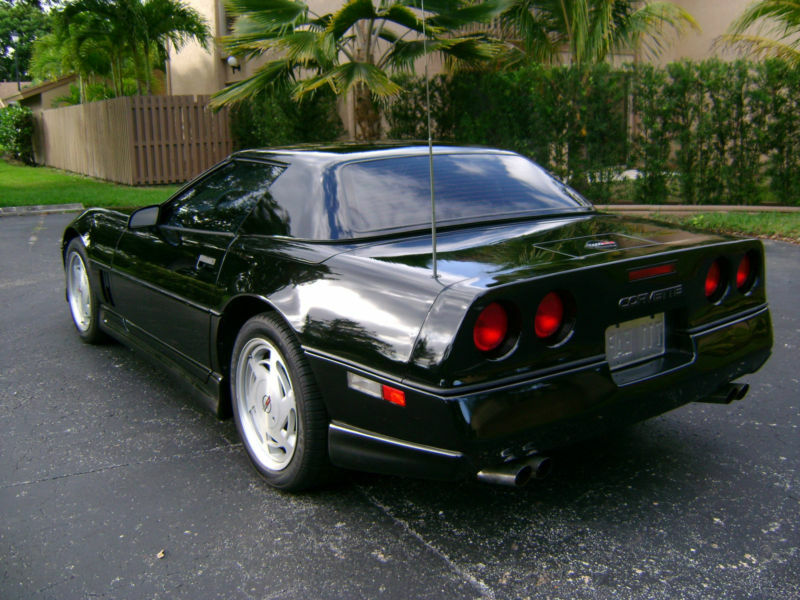 The C4 generation Corvette is the unloved sibling in the Vette family, the red-headed step child that was born in the Malaise era and surprisingly transformed into a sophisticated and remarkably fast car by the end of its production run. This 1989 Chevy Corvette convertible with hardtop and 6-spd manual is offered for sale in Miami, FL, bidding at $11,600 reserve-not-met with 1 day to go. The C4 Vette introduced huge changes to Chevy's halo car - starting at its sleek and boxy exterior and continuing to its futuristic digital dash - which thankfully wasn't the future. 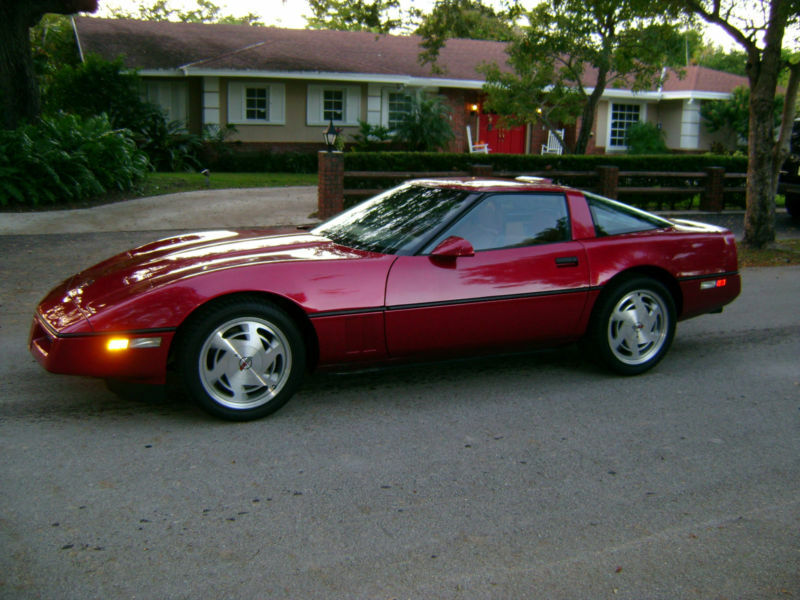 Of course the C4 Vette sold well when new, but you could put the Corvette crossed flags on a dog turd; C&D/R&T/etc would rave about how brown it is and 1/2 the people in 'Merica would still want one. We think the C4 isn't a bad looking car, but today prices are quite depressed and this one is bidding well above the average C4, probably because of its 24k original miles..but potentially because of some ebay seller sketchiness...more on that later. 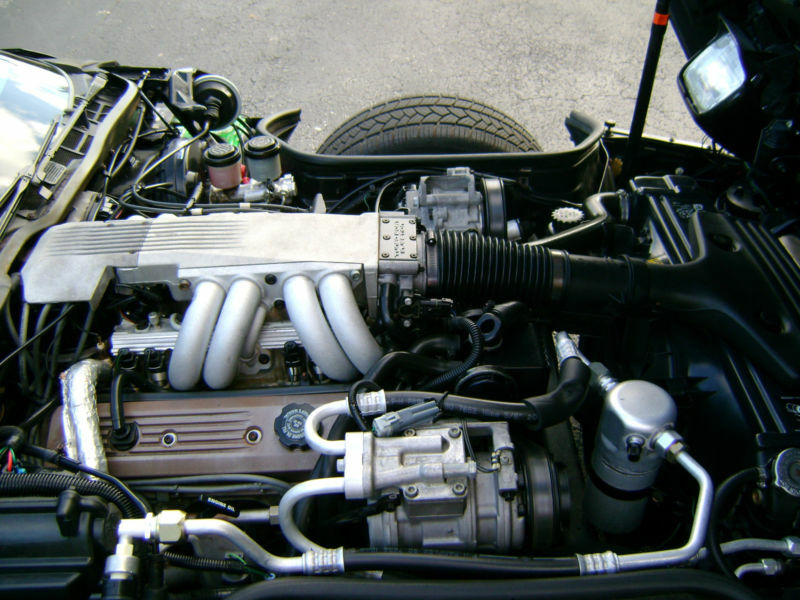 The early C4s were powered by the L98 V8, a 350 cubic inch (5.7) liter descendant of the 1955 Chevy small block. The L98 in stock trim is rated at 240 horsepower and 345 ft-lbs of torque - but it's a Chevy 350 so additional power is cheap and easy to get with a few bolt on parts. 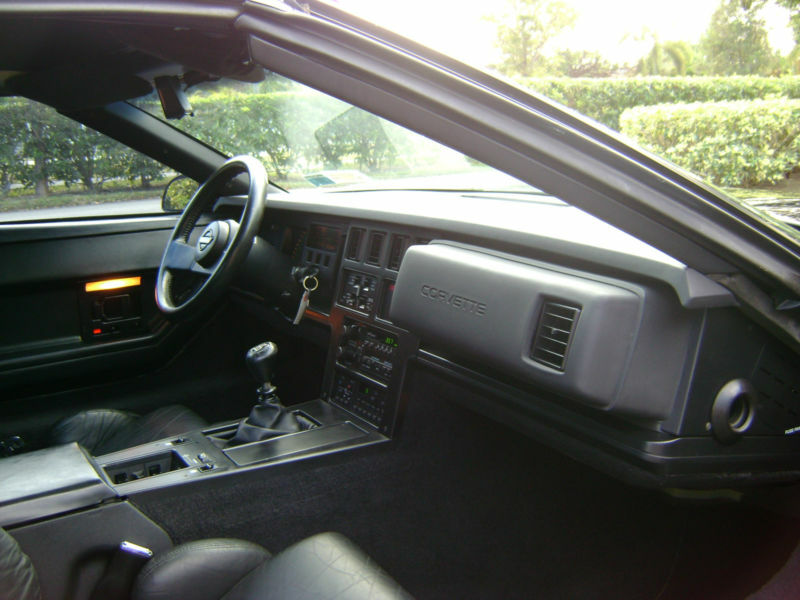 The inside of the C4 is probably its weakest part; cheap hard plastics cover everything, digital gauges and cheap GM parts-bin switches are relentless in reminding you that the engineering cost went anywhere but inside the cabin. Even the steering wheel is hopeless. Is it just coincidence or a seller who knows what he is doing to get maximum value for his fleet of C4s? Tell us what you think in the comments below. 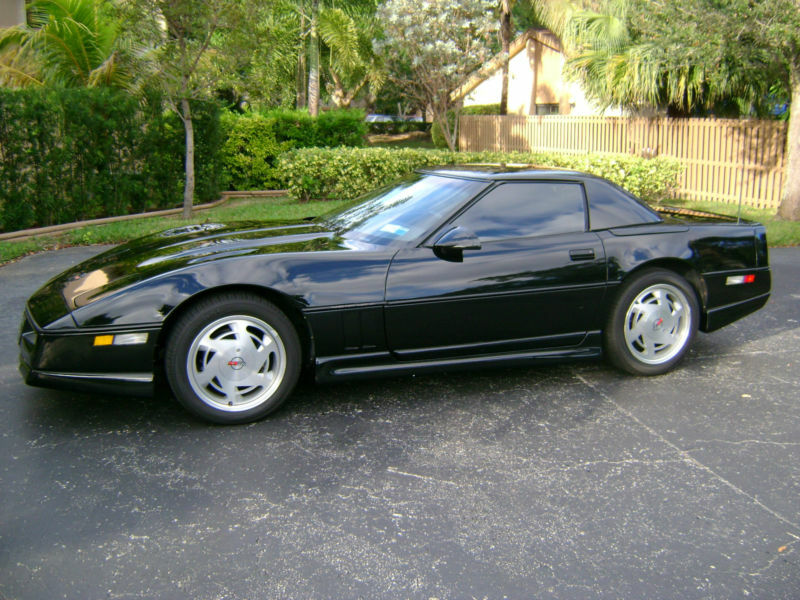 ~ how many Corvette C4 removable hardtops have i seen? not many.